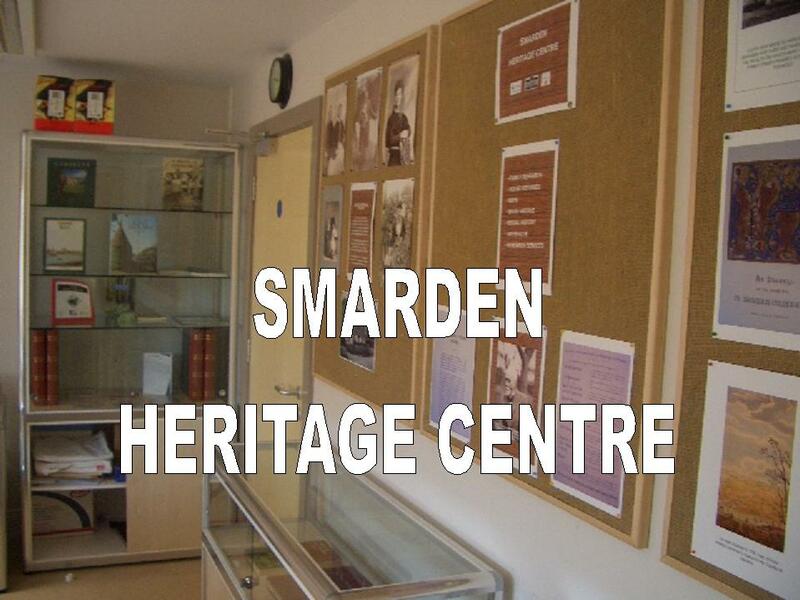 Smarden Heritage Centre is located at Smarden’s Charter Hall and is administered by Smarden Local History Society. The Centre opened in April 2008 and has built an extensive archive relating to Smarden’s rich past. The Centre is open Friday mornings from 9:30am to 11:30 am or by appointment. The Centre contains many unique records of Smarden including the 6 volume Women’s Institute Archive and Halford Mills’ unpublished 200 page history of the village. For geneologists and house historians, the Centre offers the Parish Tithe map, apportionments and settlements; 1851, 1861 and 1871 Census returns; School records; church records from the 16th century; Parish records; a 10,000 item digital archive, house deeds and manuscripts. The Centre has a touch screen computer terminal for visitors, which provides access to many Smarden records, including films, and displays of artefacts and finds from local archaeological work. We also operate the Kent Heritage Resource Centre in partnership with the Kent Archaeological Society providing an archival quality digital capture and cataloguing service, free to local history societies and museums.